Our used SWAT vehicles include used armored SWAT trucks, used armored SWAT vans, bulletproof trucks, tactical trucks and more. At The Armored Group, our line of vehicles includes armored cars, armored trucks, and armored vans from General Motors, Ford, and more. Discover why we're the number one name in used armored security vehicles. Look to The Armored Group for used SWAT vehicles and the finest line of armored cars, armored trucks, and armored vans on the market. Trust your need for used SWAT vehicles to the professionals at The Armored Group. 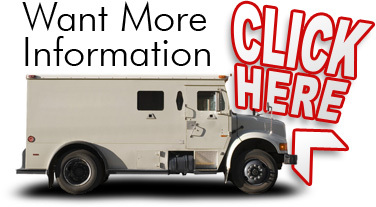 We have a variety of used armored SWAT vans, and used armored SWAT trucks from General Motors and others. Our used armored security vehicles are customized to your specifications. And all of our armored cars, armored trucks, and armored vans benefit from superior technology and design. Our used SWAT vehicles include bulletproof trucks, tactical trucks including used armored SWAT trucks, used armored SWAT vans, and more. 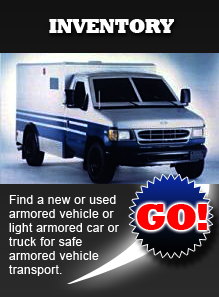 Let us help you find the used armored security vehicles that are right for your business or organization.